stem(vine) borers in ALL my snake gourds! I just noticed that after yielding 2 reasonably big gourds,the plants(5 of them) were drooping in the hot sun,which was not usual as I water them lightly every morning.The stem near the base showed brown colored resin like substance and ants were clustered around this.I had the urge to do a microdissection and I was shocked to find that there were about 2-3 white plump worms,about and inch long and the stem which I believed was carrying the whole lot of nutrients to the plants were just few fibers circumferentially arranged around the worms.I took them out and covered the stem with topsoil and it has begun to give out new roots.I had to remove 3 plants already.Does anyone have a similar problem? Hai,Green first carefully examine the vines up to 1meter from the ground level &carefully remove the worms with sharp knife without damaging the main stem&fill the wound with garden soil.I suggest to wrap the stem with aluminium foil up to 1 meter from ground.Apply neem manure to the bottom of the plant.Spray neem+punga ennai at 5+5 ml ratio weakly twice. Thank you so much Reghu!btw what is punga ennai? Hai,Green pongamia oil is punga ennai it is available at all pooja items selling stores. 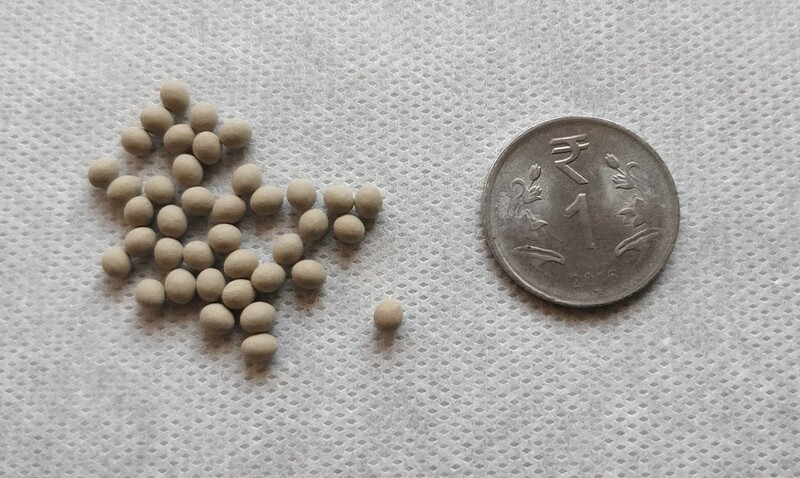 Hi Raghu,Thanks for the very prompt reply.I am from Kerala and the name is not familiar to anyone around.I visit temples in Tamil Nadu very often and I hope to get punga ennai from the pooja stores in temple premises.Do you know what it is called in Malayalam?